A Smart Grid Consumer Collaborative report contains some unexpected findings on consumer attitudes toward rooftop PV. The transition to a distributed renewable energy future has often put the solar industry and utilities at odds -- most notably in the debate over net energy metering. But the animosity between the established utility industry and distributed energy upstarts may not be warranted. A new study from the Smart Grid Consumer Collaborative (SGCC) called Consumer Driven Technologies shows that consumer attitudes toward rooftop solar may not align with company positions. And in some cases, the solar industry may be fighting in the wrong places. The SGCC study was based on an online survey of 1,571 respondents from across the country. One surprise finding from the questionnaire is how generously customers tend to think about their role in energy and how they interact with solar energy in general. Solar customers don't necessarily see themselves as utility opponents or as revolting against the grid. A striking data point in the report is that 80 percent of all respondents indicated a willingness to donate excess electricity from their residential solar PV system to their community, in the interest of expanding access to green energy. In other words, net metering doesn't matter to them as long as the energy they export advances clean energy for everyone. At least that appears to be true for the early adopter customers who answered the survey. 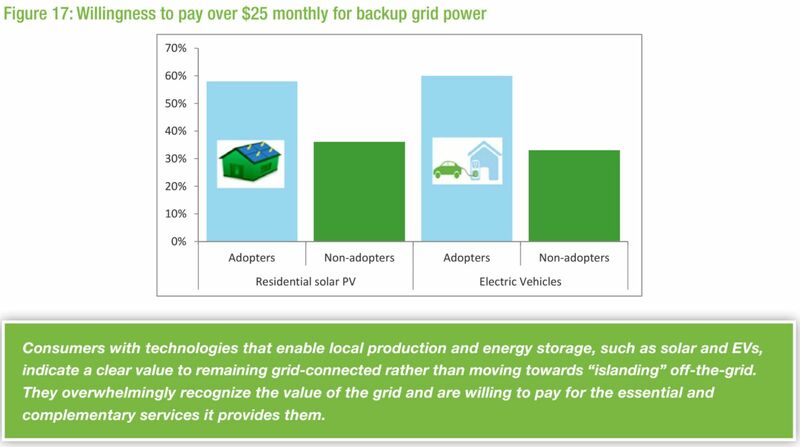 In another unexpected finding, more than 75 percent of customers who believe in the ability to go off-grid with solar indicated a willingness to pay the utility for a backup power option. And 36 percent said they would pay $25 or more per month for that backup service, a recognition that grid services aren't free. There's also high interest in alternative models for buying renewable energy. Forty-three percent of people said community solar (27 percent) or green power plans (16 percent) were their preferred solar option, not rooftop PV. This suggests there's room for the solar industry and utilities to find common ground in serving community needs. Utilities and the solar industry need each other as well. Survey respondents said they are much more likely to prefer dealing directly with solar companies for purchasing and installing residential solar systems than with intermediaries such as utilities or government entities. However, a substantial proportion of respondents said they are interested in seeking the help of utilities to learn more about financing, putting the utility in the role of trusted energy advisor, which means there's value for both utilities and solar companies in working together. Another big takeaway from SGCC's report is that living in an advanced solar state doesn't necessarily mean you have greater interest in solar. In fact, customers in the western and northeast areas of the U.S., where solar is more prevalent, show slightly less interest in solar than less advanced regions. An analysis by the Smart Electric Power Alliance recapped this finding by stating, "interest in solar [is] slightly higher among study participants in states without strong net metering or other solar-related policies than in states that offer such incentives". This could mean that distributed energy companies and utilities are missing a massive opportunity in states where there's not yet an advanced solar market. And both should be taking a close look at the customer base as a driver of interest in new products. 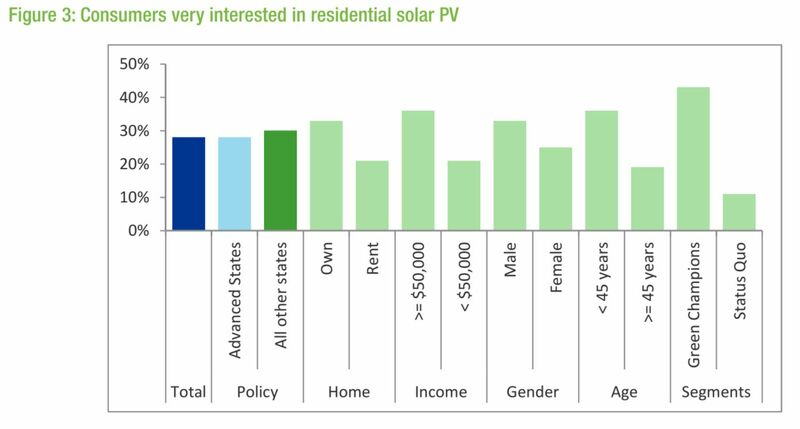 One of the least surprising findings from the report was that customer demographics drive their interest in residential solar energy. 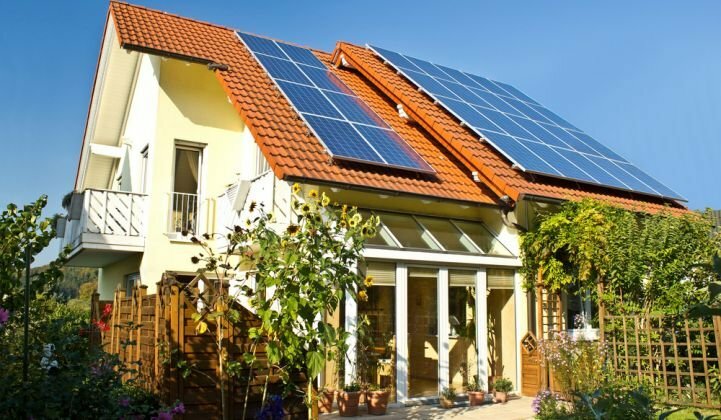 Statistically, customers who own a home, make over $50,000 per year, and are under the age of 45 are also more interested in solar than people who do not fit in this group. To the previous point, "the data do not support the hypothesis that consumers in advanced states would have a higher awareness of or increased interest in the technologies studied," the report states. Furthermore, it comes as little surprise that owning an EV increases a customer's interest in purchasing solar and vice versa. The report found that roughly half of respondents who already have PV or an EV have both. This finding has implications for utilities as they set rates and forecast load as technology adoption increases. It could also help guide solar companies and other technology providers as they make targeted marketing decisions in future. The SGCC report shows that certain demographics have a strong interest in adopting solar and EVs, regardless of location. It also shows that many solar customers want energy solutions that help their community, even if it means reduced savings. Furthermore, they're willing to pay for certain grid services. While it's just one data set in the broader distributed energy conversation, the survey hints at how consumer attitudes can be leveraged to deploy distributed energy technologies in ways that could benefit all players. But the survey also revealed that there are many other customers who know little about these technologies. Fewer than 22 percent of all consumers surveyed claim to have a fairly complete understanding of PV or EVs, which is an obvious barrier to increased adoption and customer engagement. It's also a potential opportunity for utility and solar stakeholders to collaborate.